The sun shines brightly on your roof every day. This leads to your attic heating up, which can lead to increased energy bills. Since your air conditioning needs to maintain your preferred temperature, it has to consume more energy to counteract the effects of a hot attic. To save money and have a more comfortable home, it pays to invest in an energy-efficient roof. Kroll Construction tells you all about them. What Is An Energy-Efficient Roof? Going for energy-efficient Detroit roofing has several advantages. An energy-efficient roof absorbs less heat and reflects more sunlight compared with ordinary roofs. These roofs use solar-reflective surfaces to keep temperatures low. For instance, an ordinary roof can reach temperatures of 150 degrees or more in the summer while an energy-efficient roof will stay more than 50 degrees cooler. You’ll reduce your bills by decreasing your air conditioning needs and gain improved comfort for spaces without air conditioning. Decreased roof temperature can also lead to extended roof service life. Energy-efficient roofs benefit the environment, as well. These reduce power plant emissions, lowering peak electricity demand, and combating the urban heat island effect. What Are Our Energy-Efficient Roof Products? As the preferred roofing contractors in Detroit, we offer energy-efficient roofs from both IKO and Owens Corning. 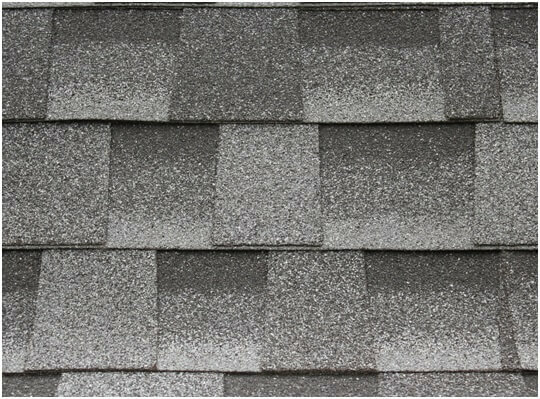 IKO’s Cambridge Shingles that come in the Super White color are ENERGY STAR® rated. These shingles have a classic long-term style that will fit any home’s architectural style. Their dimensional profile and deep shadow bands mimic the look of wood shake perfectly. Finally, these are durable and weather resistant. Owens Corning’s Duration® Premium Cool Shingles are also ENERGY STAR rated and come in four vivid colors. These feature SureNail® Technology with a triple layer of reinforcement, ensuring superior fastener holding power. These shingles have exceptional wind resistance and are able to withstand 130 MPH winds with only four nails. Both Cambridge and Duration shingles will help lower your energy bills, reduce your home’s environmental impact, and extend your roof’s life. Our cool roof options will cut your energy bills and make your home cool and comfortable. Replacing your roof will also revitalize your home’s look and increase your home’s protection against the weather. Kroll Construction has been serving our customers in Detroit and southeastern Michigan for over 50 years. We’re roofing professionals who have the resource, experience, and qualifications to install your new energy-efficient roof and help save you money. Give us a call to learn more about our roofs or to schedule a free in-home consultation.